The pristine Chute Montmorency is situated in Parc de la Chute Montmorency, Quebec, Canada. Chute Montmorency, Parc de la Chute Montmorency, Quebec, Canada, North America. 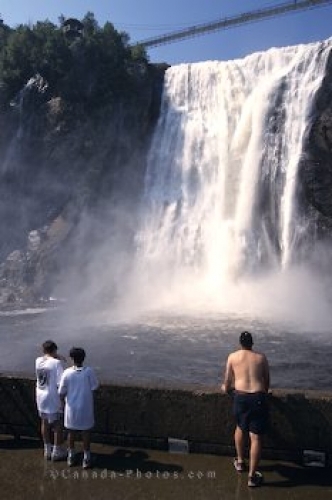 Photo of tourists viewing Chute Montmorency in Quebec, Canada.